A Nuestra Senora de la Paloma, Madryt, Hiszpania : Rezerwuj teraz! Reception open 24 hours, friendly staff, rooms with private bathroom, heating and TV. Free wifi in rooms. Redecorated in 2008. The location makes the hostel an ideal accommodation for young people and budget travelers spending a few days in the fantastic city of Madrid. Since we are right in center of madrid, every main spots is just a walking distance. we are minutes walk from the very touristic spot of puerta del sol, to the historic plaza mayor , emblematic market mercado de san miguel, real palace, to the main street of gran vía and just walking distance to almost all museums like museo del prado. All our rooms are cozy and comfortable. 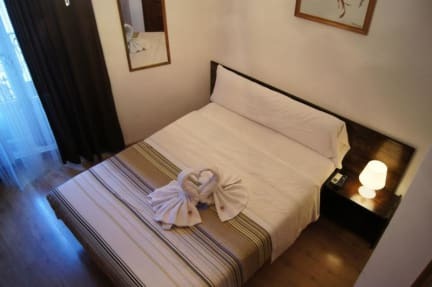 We have single rooms, double rooms with balcony, twin and room for three people. Some of them are equipped with flat tv screen, air conditioning, heater and free wifi. Check out before 12:00 PM .